We need to talk about still birth. We need to talk about stillbirth. I am the mother of three boys. Luis is six, Jude is four, and I was 28 weeks pregnant when Rafael died. I am usually a very private person, so I guess it is out of character that I want to share my feelings and our story. However, it’s also very important that I do this because firstly I do not want Rafael to be forgotten, but also because there’s a huge need to raise awareness about stillbirth. It’s a real taboo and if I at least try to start the conversation, I know that I have done something for Rafael and for the thousands of other Australian families who have been through it. My son, at 28 weeks, was a person, and part of our family. We discussed the idea of having another baby with the boys many times, even before we conceived Rafael. While I was pregnant I spoke to him every day, many times a day. The boys always spoke to him or kissed or touched my tummy. We spoke about what we would do once he was born. He was also part of our wider family. He was a grandson, a nephew, and a cousin, and we were all planning for his arrival, and planning our lives around his arrival. His death has affected many people. The bottom line is that he lived inside me for 28 weeks, and the idea of him was conceived long before he was physically conceived. I think about Rafael all the time. I can honestly say that I don’t go for more than a few minutes without thinking of him. He is always with me. My sleep is light and restless and my thoughts are about Rafael. The boys speak of him and mention him nearly every day — not because I have raised the topic but because they too feel this profound and overwhelming loss of their brother. 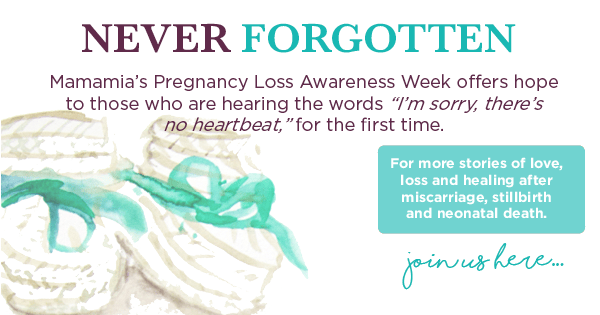 This week, as part of Never Forgotten: Mamamia’s Pregnancy Loss Awareness Week we’re remembering the babies we’ve lost. Post continues below. For me, there’s loss and grief on so many levels, and I alternate between them daily. There are also a multitude of questions that I will never have answered. I am sad for Rafael. He never got to experience life. I am sad for us, that we know this life, that this is our life, and that we are no longer innocent or maybe ignorant about stillbirth. We know what this crippling sadness feels like. We will never know the colour of his eyes or the colour of his hair. Would he have been fair like Luis or have had olive skin like Jude? We will never know his personality or how he would have fitted into our family. Who would he have grown up to be? I am sad for my sons, that they do not have the baby brother they were looking forward to. I am sad for my husband. I met and married a really optimistic and carefree man, who did not know this pain. I don&apos;t want him to change. I am sad that he did not get to be a father to Rafael, to rock him to sleep or to teach him to kick a football. I am sad for me. I am sad that the idea of me as a confident and capable person has changed. As a mother, I should have protected him, and I didn&apos;t... I couldn&apos;t. He died inside my body, the very body that should have housed him comfortably and safely until he was due to be born. I feel so betrayed by my body. Why did something go wrong? Can I trust my body again? Can I trust myself and my instincts again? When I felt reduced movements a few weeks before I found out that Rafael had died, why didn&apos;t I run to the hospital instead of thinking that I was paranoid? I had thought about having another baby for a long time. I knew that I wasn&apos;t &apos;done&apos;, but I was worried about so many things and wanted to make sure that I was making the right decision. I was worried that I was too old, I wouldn&apos;t be able to juggle three children, I wouldn&apos;t have enough time to give each of them enough attention, it would put pressure on our marriage, Jude would be the middle child... the worries were endless. In the end, all my worries didn&apos;t matter because the voice telling me that I wasn&apos;t done with having babies was getting louder and louder. Even now when I have moments of desperately wanting another baby I can&apos;t help but think that this was the universe&apos;s way of telling me I made the wrong decision. Grief really plays with your mind. Stillbirth is different to other deaths. No one is going to sit down with you and laugh and talk about the good old times. You can&apos;t. There is nothing to reminisce but the kicks and activity inside your own body. There&apos;s nothing good that can come out of stillbirth, there&apos;s no upside. It&apos;s too difficult. And this is the reason that we don&apos;t talk about it. No one wants to put themselves in our shoes, they do not want to imagine our pain. I don&apos;t blame anyone. I don&apos;t want to be this person either. I used to avoid stillbirth too. But this is the exact reason we need to start this conversation. There are many families out there experiencing this same loss. If we start talking about it, there will be some positivity, because we will create awareness and only then can we begin to make it a health priority. Because of Rafael&apos;s death, I don&apos;t know who I am. This year, I was supposed to be a mother of a newborn baby. 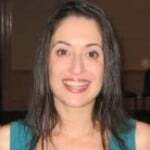 I was supposed to be the mother of three boys -- all living. I was supposed be living a really busy, sleep deprived and chaotic life full of breastfeeding, nappies, milestones and wonder... and loving it -- and I&apos;m not. The problem is I can&apos;t go back to the person I was before I was pregnant because I&apos;m simply not that person. I&apos;ve changed and I&apos;ll never be that person. I need to re-build my identity, something I did not want to do. I need to raise awareness, I need to start the conversation, and I need to help make stillbirth a national health priority. This year was supposed to be about Rafael... And I am determined that it still will be. You can donate to Rafael&apos;s Reach to raise money for the Stillbirth Foundation Australia on Facebook or Everyday Hero. Join Mia, Rebecca and others who have lost a child in our private Facebook group.